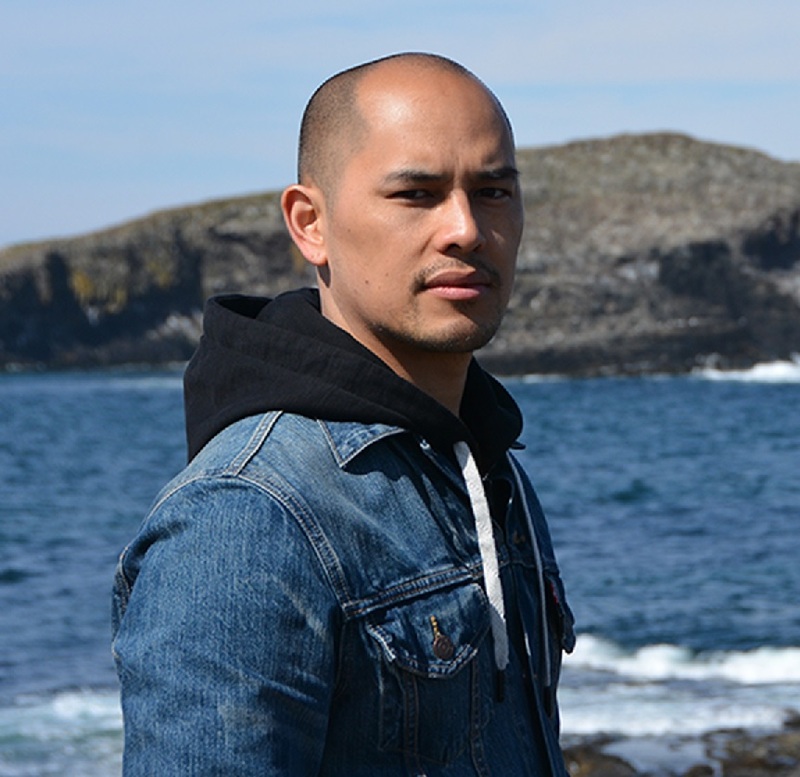 We caught up with artist and OCAD U alum Omar Badrin to chat about his work. He graduated from the Interdisciplinary Master’s in Art, Media and Design program in 2015 and was the program’s year-end medal winner. Can you tell us about Unmasking Otherness, your current show in Corner Brook, Newfoundland? Unmasking Otherness is an exhibition that is showing at the Grenfell Campus Art Gallery until September 17. 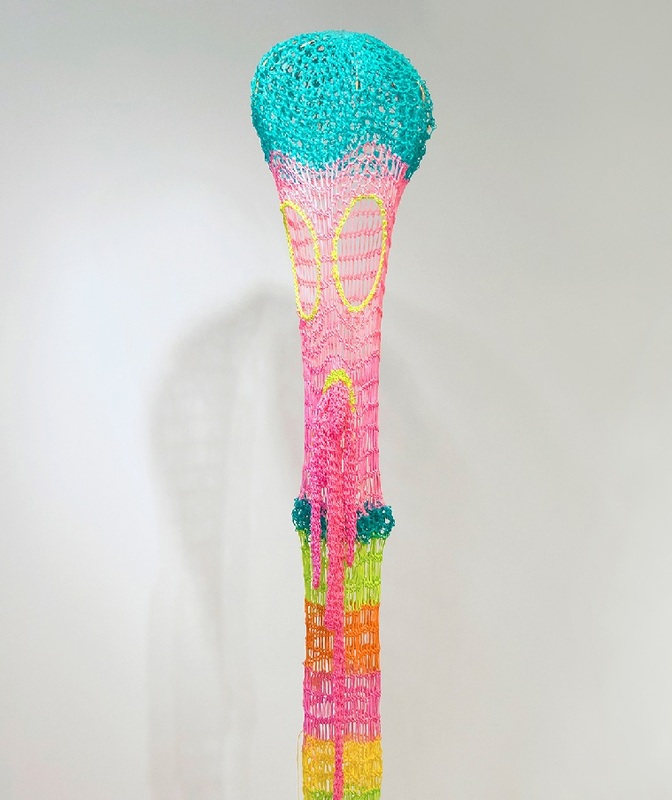 The show is made up of large, exaggerated, brightly colored crocheted masks that convey a sense of the grotesque and otherness. The masks vary in size and range from approximately five to fifteen feet in length. I wanted them to be large and take up as much space as possible, so it feels like they’re hovering over the viewer. They’re claiming the space rather than being off to the side. On a personal note, it was important to me to exhibit this work in Newfoundland because I was raised there and go back frequently to visit family and friends. My artwork is biographical and reflects my upbringing as a visual minority in a province that, racially, remains quite homogenous. I’m hoping this show will contribute to the dialogue on the (slowly) increasing diversity in Newfoundland culture. How did your Interdisciplinary Master’s in Art, Media and Design help your practice? Before joining the IAMD program, I felt that my art practice had become stunted. In fact, I had stopped pursuing art-making for five years before applying to OCAD U. When I moved to Toronto, I decided to get back into it and put together a portfolio with works that gave a sense of the direction and ideas I hoped to develop if accepted. As a student at OCAD U, I was encouraged to experiment with other media, which really helped me get over my slump. 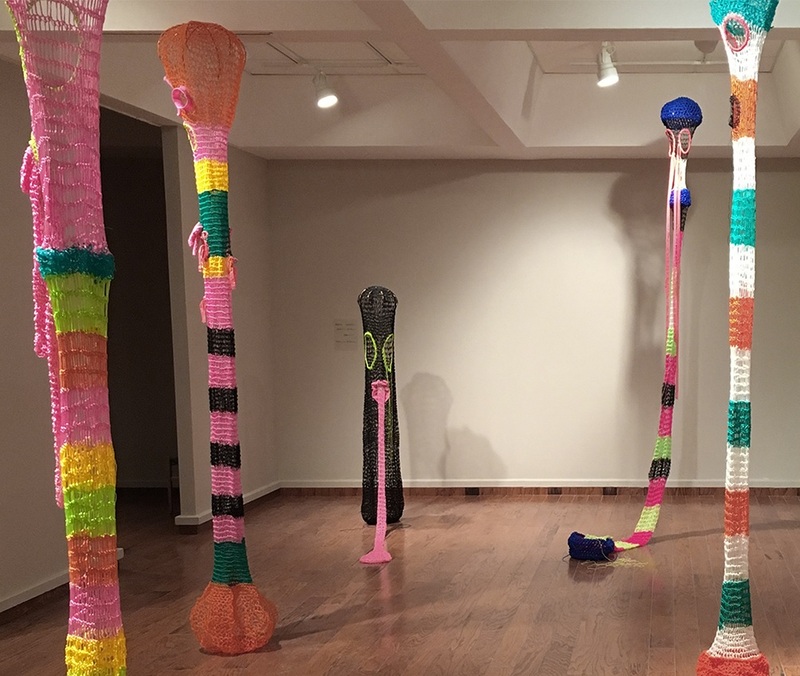 During my first year, I started to explore the craft of net-making because of its connection to Newfoundland’s fishing tradition. However, it didn’t feel authentic to me, because I don’t have a direct relationship to the fishing industry. I opted for crotchet instead, because there were commonalities with net-making, and it I did feel a personal connection to it. For my independent summer study, I went to Port Union and learned crotchet from my mom. I hit it off with this medium and, conceptually, it was a better fit with my thesis topic. What do you love about crocheting and why is it an important medium for you? Crochet is a way for me to think and reflect because the repetitive process of the medium lends itself to this. I have to say, though, that I don’t get personal enjoyment out of crochet. I use it because it allows me to convey the ideas I want to get at in my work. I grew up watching my grandmother and mother crochet, so I’m familiar with it, and it has deeper meaning for me. It’s a tradition that was passed down from my grandmother to my mother. However, I only started learning it two years ago, so it’s very new to me. 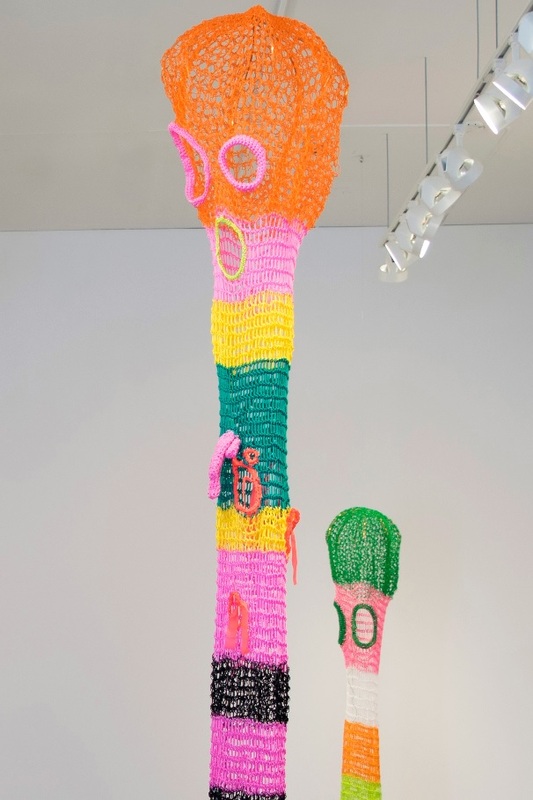 We’ve been seeing more artists and young people take up crocheting — is it becoming cool again? I don’t know if it is becoming cool again. I think you have to be cool to answer that question and I’m not that person. I do like to see the bridge between ‘craft’ and ‘fine art,’ but that’s a discussion for another time. My personal feeling is that artists have to use the media that they feel most comfortable using for a given project. They [the media] should fit the conceptual framework and enhance the work. For now, crochet is something that interests me and it fits the ideas I’m presently exploring. However, I might give it up for something else in the future. Check out more of Omar’s work.